Biocompatible Approach in Burr Ridge IL - What Is a Biocompatible Approach? Biological dentistry is concerned about protecting a patient’s overall health, not just that of the oral cavity. In Burr Ridge, IL, Dr. Janet Stopka offers a biocompatible approach that helps the body heal itself rather than relying on potentially dangerous chemicals, materials, or procedures. As an alternative to traditional care, holistic dentistry offers patients natural care. 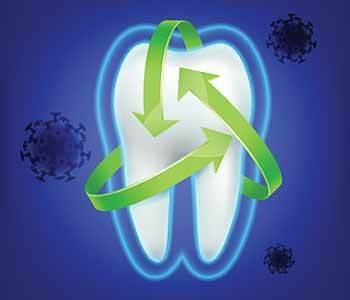 Holism is a philosophy in which an individual person, the body, mouth, and mind, are considered as a unit Dentists who follow a biocompatible approach recognize the impact toxic materials have on dental and physiological health. Biocompatible dentists strive to maintain the integrity of the oral cavity by using materials and procedures that are systemically compatible. What is a biocompatible approach? The main concept of holistic dentistry involves a biocompatible approach. This method strives to preserve the natural parts of the mouth and to cause as little disruption as possible. Problems are addressed first using methods that are conservative and as minimally invasive as possible. A biocompatible approach seeks non-toxic answers as well. We understand that what goes in the mouth affects the rest of the body. In using a biocompatible approach, we choose better, safer materials. For example, when a crown is used to cap a broken tooth, the crown can be made of toxic metals or ceramic. We utilize ceramic or porcelain materials rather than metal to avoid negative reactions with the body. Ceramic crowns are non-toxic and promote overall health. They also give patients a better aesthetic result. The decision is simple but makes a long-term difference. In our holistic practice, the biocompatible approach includes avoiding mercury. Mercury has been known to cause or contribute to a number of health issues. Mercury is poisonous, non-radioactive, and naturally occurring. The World Health Organization (WHO) has declared that mercury is not safe at any level. Even the smallest amount can cause harm to your body. Mercury can affect nearly every system of your body causing digestive, respiratory, and neurological problems. Silver amalgam fillings are known to contain toxic chemicals that can lead to health problems. Amalgam consists of different metals, silver, mercury, tin, and copper. 50% of the filling is mercury meaning a large filling may have as much mercury as a thermometer. Amalgam fillings are still used by some dentists because they may be less expensive, are inserted quickly, and are considered durable. Unfortunately, this comes at a cost to the patient’s health. Mercury is easily vaporized at room temperature and is readily absorbed into the bloodstream. We maintain a mercury-free, mercury-safe office. This means we do not place amalgam fillings and we follow precise steps to safely remove previously placed amalgam fillings. We follow the specific safety protocol laid out by the International Academy of Oral Medicine and Toxicology (IAOMT) for safe amalgam removal. Mercury vapors are continuously released from the fillings. The vapors accumulate within the body causing damage over time. Amalgam fillings are not safe. Because of the known dangers of mercury, there is not any in the fillings or crowns that we use and when requested, we will safely remove and properly dispose of pre-existing amalgam fillings. We are committed to individualized patient care. Our patients are important to us and are treated as the unique individuals they are. Our team of dental experts is committed to protecting our patients’ health with holistic dental care. We use biocompatible, safe materials and procedures to maintain our patients’ wellness. Our dental services are comprehensive and holistic giving patients a sense of security knowing we have their health in mind. We encourage you to learn more about holistic dentistry and a biocompatible approach by visiting our office. 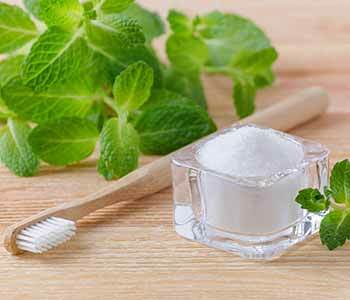 We are happy to give you more information on how to improve your oral health in a safe, toxin-free way. To schedule an appointment with Dr. Stopka in Burr Ridge, IL, contact our office today. Call 630 756-5844.